Spring is right on the horizon here in Boston. You’re probably excited to thaw out after a long winter, but make sure that your plumbing system is ready for the changes. Don’t think that the worst of your potential plumbing problems are behind you just because there aren’t cold temperatures outside anymore. Spring has its own unique problems. It’s always good to be on guard and proactive when you think about your plumbing system. Make sure you contact our team at Cooling Unlimited today to schedule an appointment today. We’re a fast and reliable team full of conscientious plumbers that will assure that you have the best plumbing services in Boston, MA. Watch out for these problems this spring and make sure that you contact a professional if you do notice these problems in your home. Notice that your water pressure is inadequate? If your showers are frustrating because the water coming from the shower head feels like a light mist rather than a steady rain, then you’re definitely having a problem with your water pressure. Low water pressure is normally a symptom of another problem with your plumbing so make sure you hire a professional to get to the root of the problem. 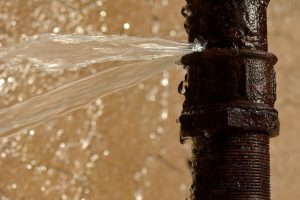 Has your home sprung a leak? Leaky pipes that you have during winter might not be evident until much later in the spring sometimes. This happens because water expands in your pipe as it freezes and the temperature fluctuations during this time of year can lead to real problems with your plumbing system. This is an especially prevalent problem if you live in a home with an older plumbing system. Although leaks may seem benign, it’s always a better idea to have a professional rectify the issue. Can you describe your home’s drainage as “sluggish?” This is a real problem that many homeowners experience in high volume during spring. Slow drains and clogged pipes often arise during this time of year because your plumbing system had to work so hard throughout the winter—you hosted lots of parties, made lots of food, and took long, extra hot showers to offset the cold temperatures. These things build up over time and if you’re not maintaining your plumbing system well, you can often have a clog or a slow-moving drain. Warm weather means that trees, shrubs, and plants alike are all thawing out from the cold of Boston winter. Once these things start growing again, you might notice that their roots settle into places that aren’t all that advantageous to your plumbing system. If you notice that you’re having problems like slow drainage, clogs, or excess moisture on the ground then pipe damage from overgrown roots could be the culprit. If you’re having plumbing problems this spring then make sure that you contact our team at Cooling Unlimited, Inc. We’re a reliable team in Boston that will ensure that your home always performs flawlessly.